Northwest Arkansas is recognized as one of the fastest growing and most economically dynamic regions in the nation. And right in the middle of the beauty, growth, and unique offerings of the area, sits our hometown of Springdale. We love our city, and are excited to share some of the exciting things that are happening here! 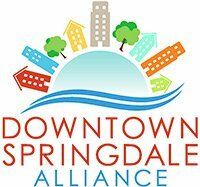 Last year saw the beginning of the “Downtown Springdale Initiative”, with plans to revitalize, invigorate, and grow the downtown area. According to the initiative’s website, “The Downtown Springdale Master Plan articulates the community’s vision for the future of Downtown Springdale and provides a variety of tools, programming and policy recommendations, and physical development initiatives to achieve this vision.” The comprehensive Master Plan serves as a roadmap for the revitalization of Downtown Springdale, and offers details about the initiative’s plans for moving forward. Evidence of the revitalization can be found in the increase of activities and events in the downtown area. 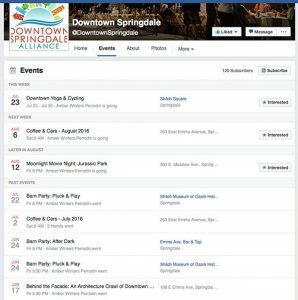 A quick look at the events section of the Downtown Springdale Facebook page shows a wide variety of past and future events that would appeal to a wide range of community members. Outdoor movie nights, music events, yoga and cycling groups, and even an architectural crawl through five unique downtown buildings, demonstrate that this initiative is designed with the whole community in mind. We love being part of a thriving, growing community!